You order at the counter and get served at the table, “You know, like Souvla,” said one of the staff at the soft opening Nov. 1. Yep, that is the model these days. 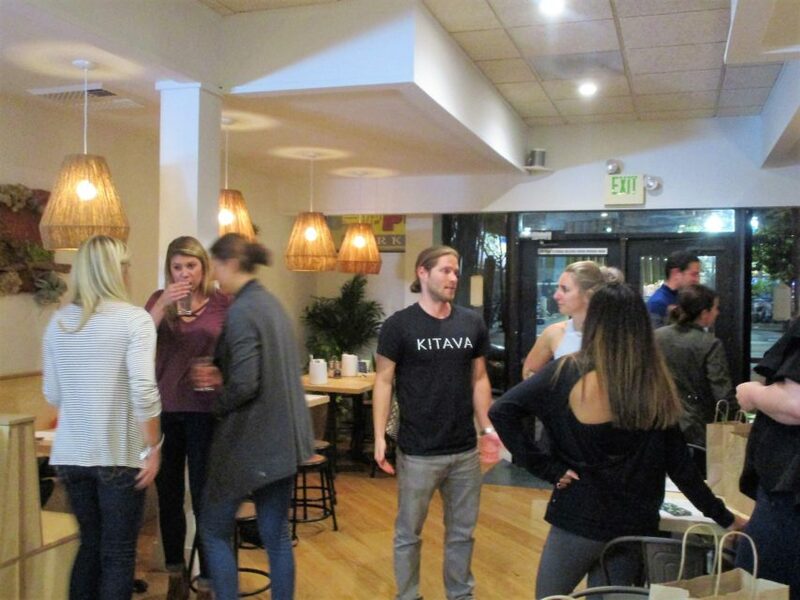 What is new, and perhaps very different from other restaurants, is that Kitava is the only restaurant in San Francisco that is fully focused on paleo, veggie-centric (they do serve meat) and gluten-free meals. Tublin says changing switching to a healthy diet changed his life. He had a knee injury that didn’t get better until then. Similarly, Nobbs decided to learn about nutrition and switch to a healthier diet because of deaths in his family — from what he felt were preventable causes. For these business partners and friends, what we eat, how it’s grown and how it’s prepared is the key to all good health. For me, what is different about this particular “health food restaurant” is that the food is substantial and well-seasoned. Tublin and Nobbs fervently believe that nutritious, fresh and responsibly sourced food is naturally delicious, but for me, the clincher is the care they’ve taken to make sure their dishes don’t skimp on bold flavors. The squash is roasted and blended with cardamom, orange zest and cinnamon, and sprinkled with tangy sumac for a lovely Middle Eastern flair. 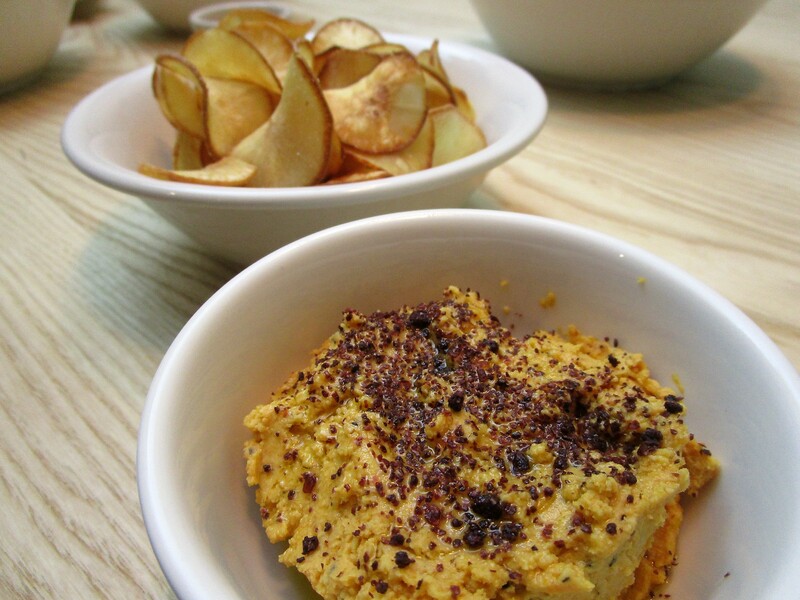 Served with crispy yucca root chips (which could have used a little salt), the dip was a good preview to the rest of the vivid flavors that awaited. Kitava is clearly proud of its food partners, “Mandela Marketplace” and “Eat With The Seasons.” Mandela is a nonprofit addressing food insecurity issues in under-resourced communities. “Eat” is a CSA program that works with multiple local and organic farmers and producers. Like these organizations, Kitava is looking toward community-building around issues of nutrition and education for all. To that end, I asked Nobbs if they ever envisioned holding classes at Kitava, to teach locals to cook nutritious meals for themselves so they wouldn’t have to depend on places like this to eat healthily. 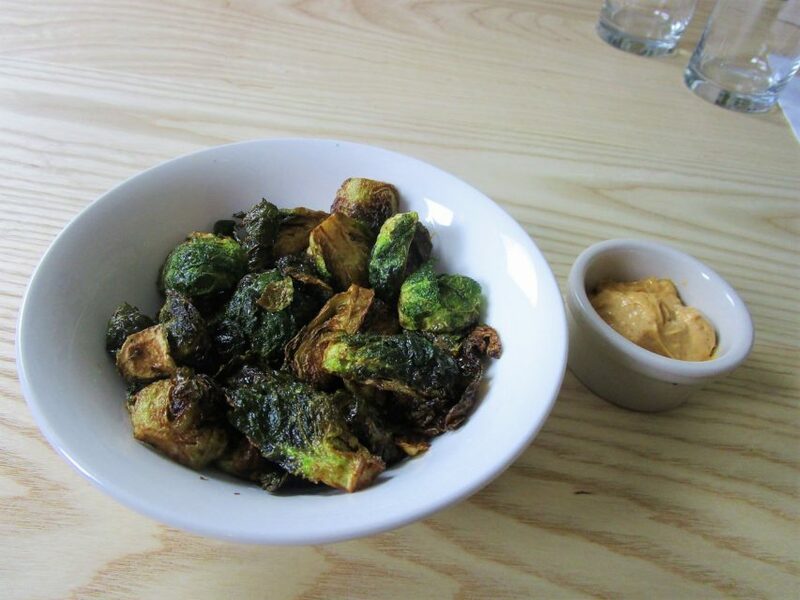 Kitava brussels sprouts and chipotle aioli. 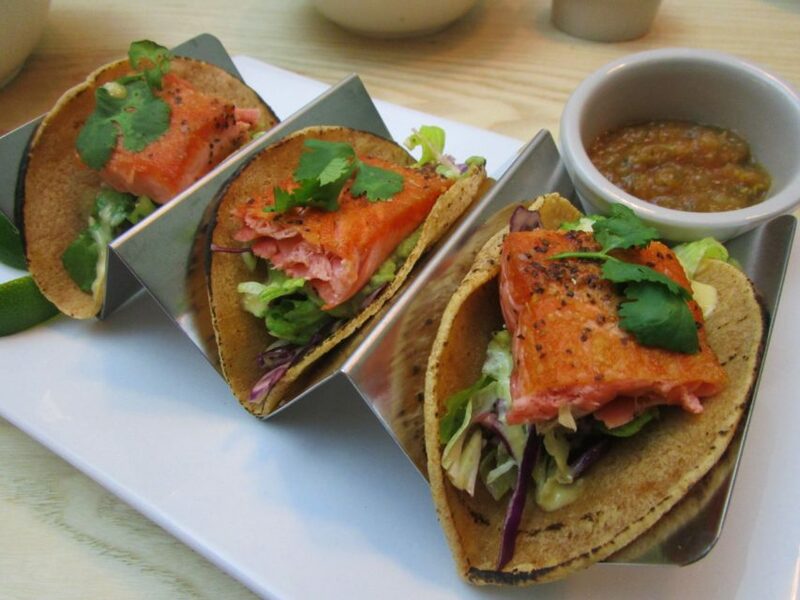 Super crispy, very flavorful, not oily, with a creamy/spicy chipotle aioli. I’d buy a jar of that. The use of palm oil is controversial — due to over-foresting, pollution from peat fires and displaced or destroyed communities of wildlife and farmers. Palm oil is considered a “clean” oil, one with a high smoke point, containing high concentrations of antioxidants, and a good substitution for butter for vegans and vegetarians. Kitava sources their palm oil from a small, sustainable organization, Palm Done Right, which follows fair trade practices and says no to clear-cutting, burning or planting in primal forests, while responsibly growing and harvesting the palm trees, and building communities in the process. 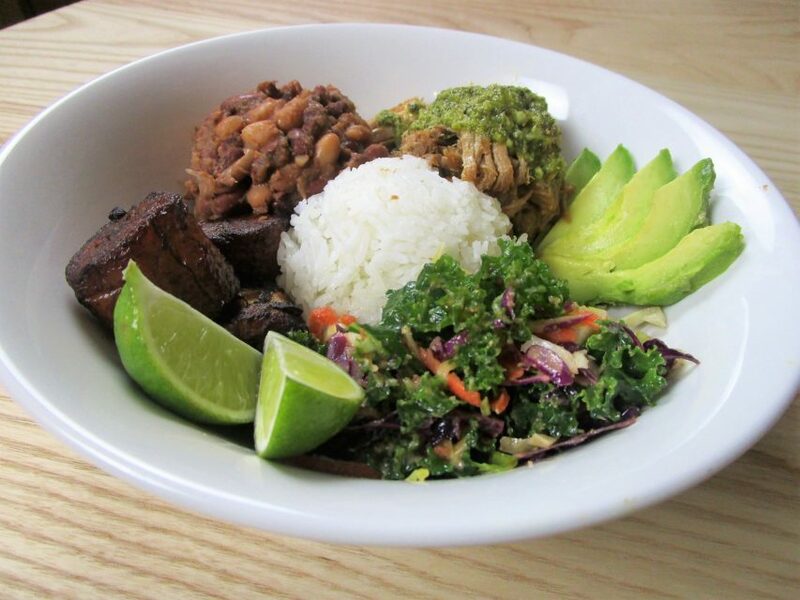 Kitava Cuban Bowl with Pork. The pork had a wonderful flavor, perfectly cooked — any taqueria would be proud to serve that pork. The kale slaw was fresh, with a good texture — not that “eating wet straw” thing you get sometimes. The kicky cilantro garlic mojo sauce went a long way toward making the dish pop. 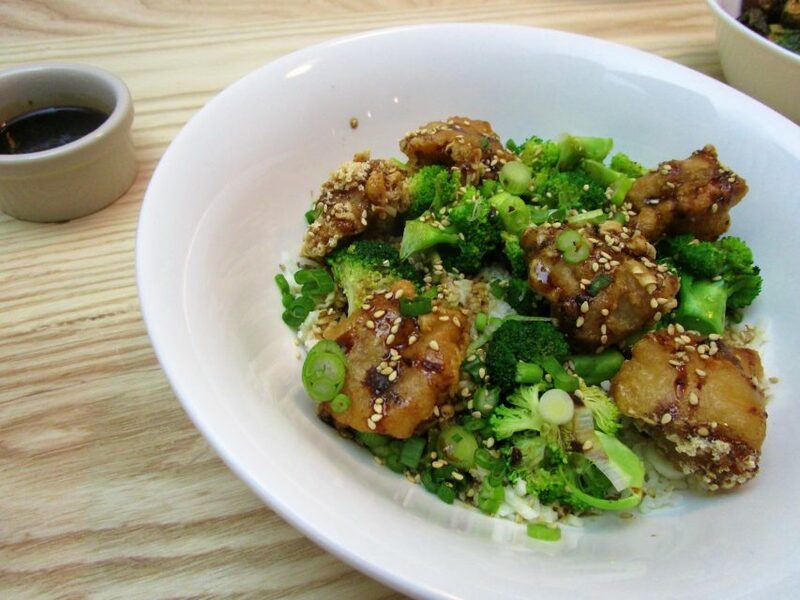 The cauliflower rice is certainly never going to replace rice for me, but Kitava’s makes a good argument for it. The texture was slightly tender but with a bit of bite. The sunflower risotto served on our plates (not pictured here), however, while tasty, would never fool anyone into thinking it was risotto. Maybe call it something else. The plantains, of course, were delicious and nicely sweet. Zoodles — “noodles” made of spiralized zucchini — are one of those food substitutions that usually don’t really work for me. The zoodles can often be watery and take away from the dish. 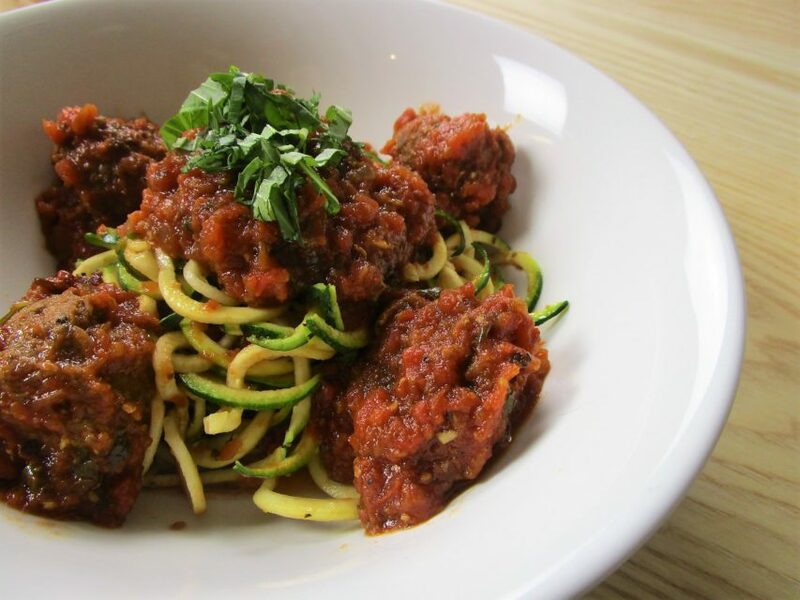 Here, served with meatballs made of 100 percent grass-fed beef, the zoodles had good texture and never got soggy in the tomato sauce, which was very herby and flavorful. Grass-fed beef can suffer from a lack of flavor and juiciness compared to its corn-fed counterpart. But, as with all this type of food, if you’re trying to eat a sustainable, healthy diet, you’re going to have to compromise. You can’t expect a cow to eat an unnatural diet without consequences. But, at Kitava, you’ll not have to compromise on flavor. Not everything worked, of course. The General Tso’s chicken was my least favorite dish. The wild Alaskan salmon is a bit pricey here, as it is anywhere, but it was fantastic. The whole taco — the crunchy cabbage slaw, chipotle aioli, salsa and creamy avocado — was perfect, except the tortilla, sadly. I’m sorry, but for me the tortilla tasted a little stale (as my tablemate said), a little tough around the edges. Underneath, where the food had soaked into it a bit, the texture was better; but, of course, what was really missing for me is the good, corny taste of a corn tortilla. However, Tublin said they have people actually asking if they’d package their tortillas and sell them — and I was further surprised to learn that they’re made for Kitava by La Palma Mexicatessan (24th Street and Florida)! Another example of local sourcing. So if you need to eat non-corn/non-wheat tortillas, these would work for many. For dessert, instead of trying to give us every item on their dessert menu (sweet-and-salty date bites, dark chocolate brownies, caramel-drizzled cookies, vegan vanilla bean gelato flavored with maple syrup and ice cream sandwiches), they offered up a sundae bar, using elements of all the desserts (minus the date bites.) I can heartily vouch for the almond cookies — excellent! So almondy, like crunchy marzipan. 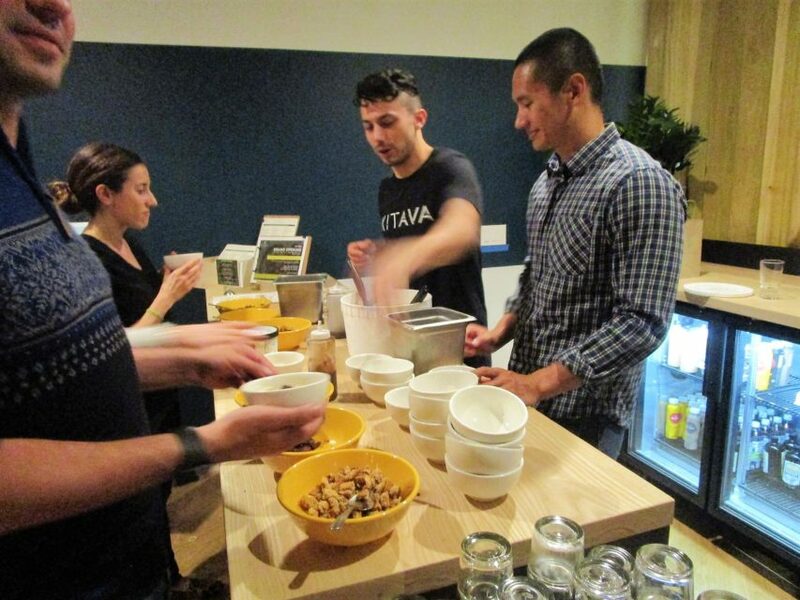 And they’re serving Vixen Kitchen ice cream, made from cashew milk, which was wonderful. As my dining companion said, jarring me to the same realization, “If someone hadn’t told me this was not ice cream, I never would have known.” Truth. I asked Nobbs what his response would be to cries about gentrification, given Kitava’s location. He said that they’d known, even before they opened, that they were going to have to deal with that question. They realized that they just weren’t going to be able to please everyone. Nobbs said that they have vegans who give them grief because they serve meat, and paleos get mad because they do vegan. And what that means mostly, I gather, is to provide healthy, fresh and good-tasting food at an affordable price. Their prices are pretty reasonable — the most expensive entrée is $19 for the salmon, with most other dinners falling below $15. After the tasting, Tublin took us on a tour of the kitchen, where we were shown remnants of the McDonald’s kitchen — the big industrial hood fans (after having been cleansed of major grease) are still in use. The McDonald’s freezer is now Kitava’s fridge, emphasizing how much food is frozen in any fast-food business. Little signs still remain posted on the walls, telling former workers where to find the french fries and the special sauce — a reminder, perhaps, to Kitava workers to see what has been wrought here, and how essentially different the two food purveyors are. While Kitava may not serve everyone’s needs, the neighborhood is perhaps served, as Nobbs said, by not putting in another greasy fast-food joint. Here’s hoping that the model of healthy food at an ever-more-affordable price point spreads.